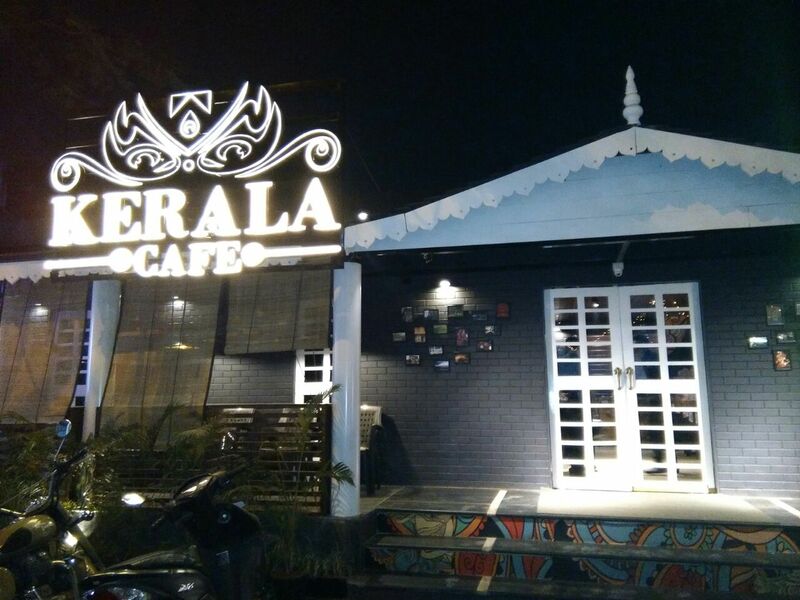 The recently opened Kerala Café in Baner is the latest of the Food-Juggernauts in this area. If you are looking for an Idli or Dosa this is not the place , but it is much more interesting as their tagline says ‘Authentic Taste Passionate Place’ . 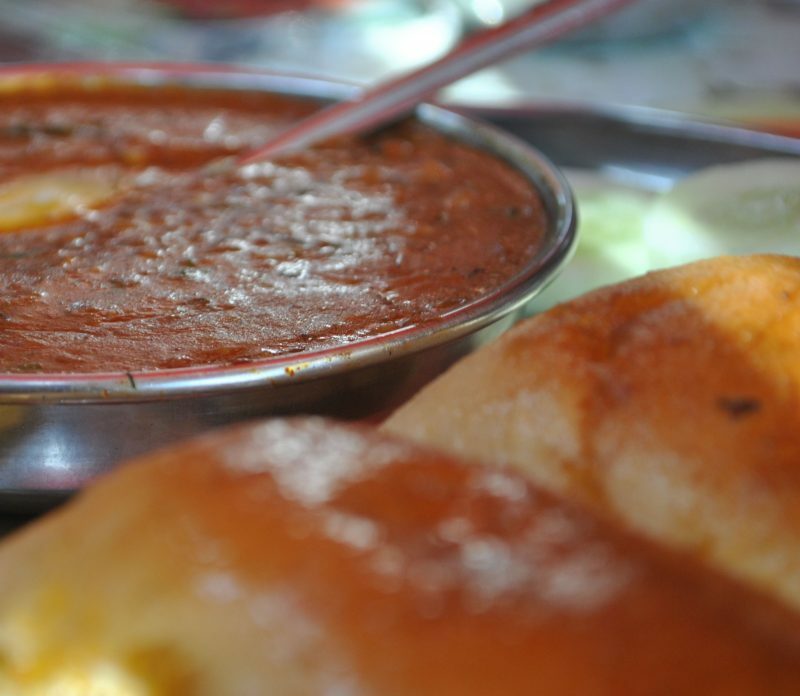 For those who are non vegetarians this is a pure delight , but there is a lot for veggies too. Non Vegeterians are in for a bigger treat with Chicken 65 Kerala Style , Chicken Varuthathu , Chicken Thengavaruthathu , Naadan Chicken Chili fry , Prawns Kurumulagittathu ( pepper fry ) , Prawns Pollichathu ( banana leaf fry ) and many other interesting starters. 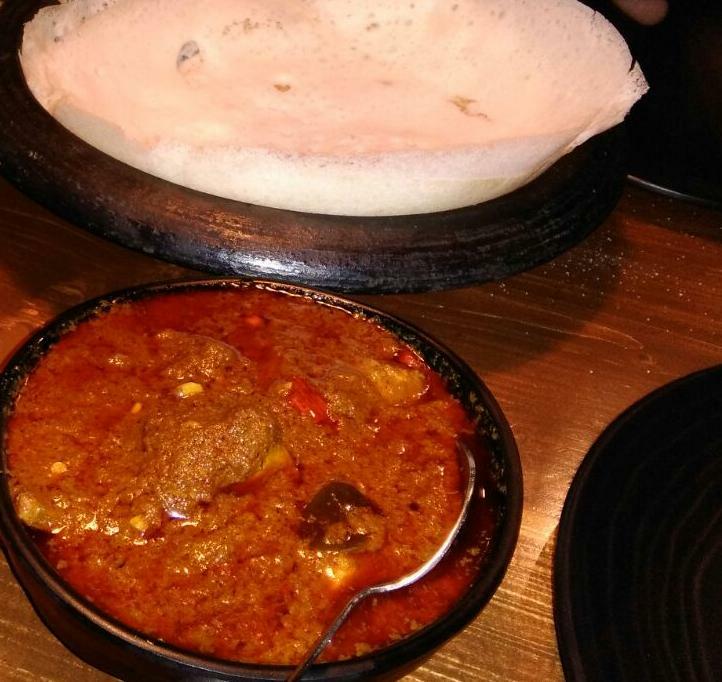 The main course is vast and superb with Chicken Chettinad , Chicken Naadan Curry , Mutton Stew, Naadan Egg Curry and host of sea food items like Prawns Mappas, Prawns Mango Curry , Surmai Mappas, Pomfret Mappas and others . Red Rice , Thayir Sadam ( Curd Rice ) , Lemon Rice are excellent as also Appam , Puttu and Wheat Parotta . Authentic Kerala style Chicken , Mutton, Egg and Prawns Biryani are also good. And to end it all try out KC special Payasam or Jaggery Coconut custard . For some reason best known to them , the menu also includes Chinese. One good thing about new restaurants is that the ambience is simple and in sync with the theme. No one table is made to feel special or exclusive and this is the highlight of many eateries of today. The sketches of elephants on the walls attract your attention. On weekends the place is almost full by 8.30pm. So if you are travelling from other parts of the city , be on time. Kerala Café is the latest to join the Baner Food bandwagon and you don’t want to miss this .